As a runner, I often find myself struggling with how to keep blisters far away from my feet. For some reason, I associate getting blisters with being a new runner who is still trying to find themselves and establish what works for them. The problem with this is that I am not a “new” runner, so therefore I should know what works best for me. Obviously testing new shoes and products will sometimes give you problems. Right off the bat you should know that it’s the new gear you’re sporting, but when you’ve worn the same shoes for months as well as the socks, and blisters and hot spots still arise, then something is wrong. With an upcoming 50k I had to find a solution to my problem. 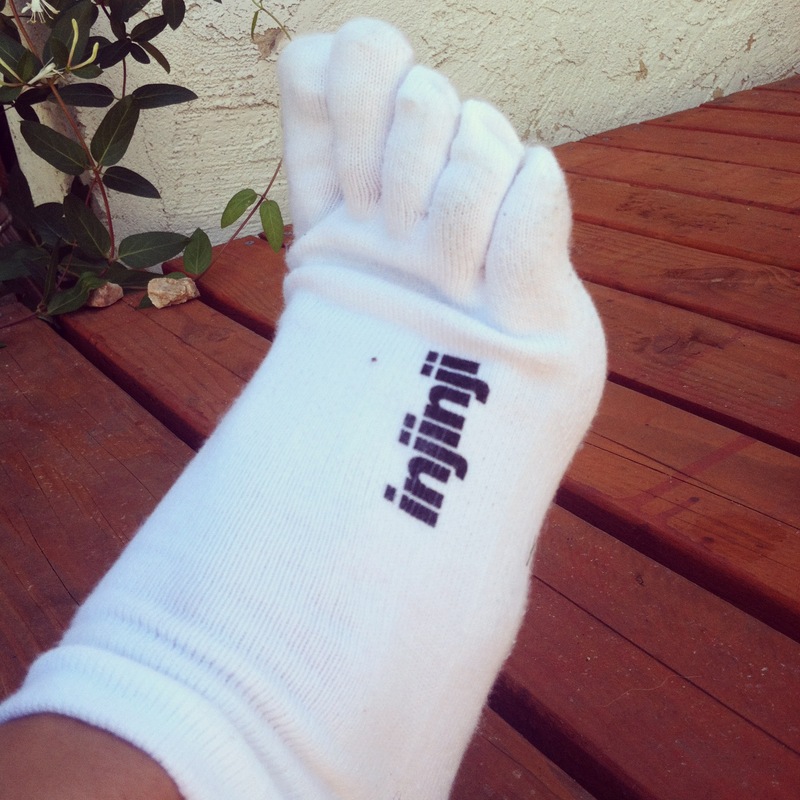 I contacted Injinji and was immediately sent out 3 different types of their toe socks. Yay! So in the final month and a half of training for my upcoming 50k, I tried and tested all three pairs of socks to find out if they could ultimately be the solution to my horrendous blistering problem. Here’s my take. 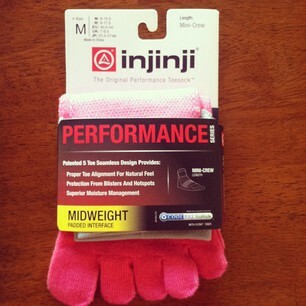 When I contacted Injinji, these were the socks that they recommended for me to try to wear for my ultra race. 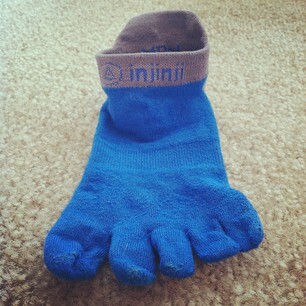 I was told that these are the socks that most ultra runners had success with. I can understand why. When I first put them on it was a little funny getting your toes in the right departments but once that task was done, they felt heavenly. Putting these on in a hurry, as you could with regular socks, may be a wee bit challenging. These socks were the thickest of the three I received and because they were mini-crew length, you didn’t have to worry about losing them in your shoe. When I went on my first run with them, I headed out to the trail with my Merrell Pace Gloves and opted to run only three miles. I felt to properly test them I had to see how they sufficed on short runs as well as long runs. The next time I wore them out on an eleven mile trail run, and the performance of the socks were the same as they were on the shorter run. The only issue I felt I was going to have with these socks was the fact that I have long toes, and during the run I thought the shifting of the sock would force my long toes to rub and stretch in the toe compartments, resulting in a hole or tear in the sock. None of this happened though, which led me to believe that not only were these things comfy, but also well made. The padded interface of these socks led to comfort during longer runs, making them ideal to run an ultra in. After all my trial runs wearing this version, my socks were never really damp and I never got a single blister. That to me proves that these socks do indeed work and the claim on the packaging, ‘ Protection From Blisters and Hotspots,’ rings true. Anatomical 5 toe design – Interface keeps toes dry and prevents blisters and properly aligns toes for natural movement. All of these characteristics were true of the sock, and I give this style a thumbs up! This style of sock appeared to me to be just like any regular sock, aside from the fact that it has toe compartments. The weight of the material from which it was made looked just like a pair of Hanes athletic socks. When you put them on though you can notice that 1, they are cozier than Hanes athletic socks, and 2, they also have arch support that you can feel more than you can see. And obviously they have the super cool logo on the side that makes them all that more awesome. Usually when I run I opt to wear either lightweight socks or thicker socks, depending on how far I plan on running or the terrain. I tested these out on a 3 mile mixed terrain run that included, sidewalk, trail, grass, asphalt. I also wore my Brooks Green Silence shoes with these. For the length of my run these seemed to be fine. I did notice though that my feet started to get irritated towards the end of my run. I don’t discredit the sock though, because all the things the packaging claimed the sock to be, they were. They just are not my preference of sock weight for a run. But, these socks would be ideal for an every day, non-running need to wear socks. Catch my drift? I will totally wear this sock, and have already done so, as an everyday comfy sock. All of these characteristics were also true of the sock, I just prefer either a lighter or heavier weight. They still get a thumbs up! This was the lightest sock that was sent to me in the bunch, and I would say the most comfortable. These socks are so lightweight that it kind of feels like your not wearing socks at all! I tried the no-show length and if your concerned with the back of your shoe rubbing on the back of your ankle because the socks are so low, don’t be. These socks have a tab on the back of them that protect your skin and the chance of the shoes rubbing on it. 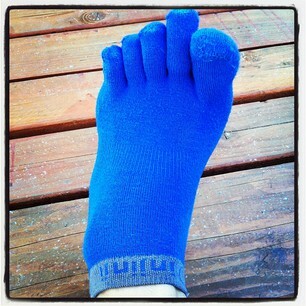 So I tested these socks on a short trail run wearing my Merrells and also on a long trail run. I also tried them out wearing my Brooks and running on the road. These socks passed all the tests, and were so comfortable! I imagine because these socks are so lightweight that they would be exceptional in the summer and during days of long, hot runs. I was kind of skeptical of wearing this weight of sock on longer runs, due to the fact that my feet seem to get tender quickly, but the socks performed wonderfully. The toe compartments are roomy enough that your foot has the ability to spread with each strike to the ground, and your toes are not squished together in one universal space. Moisture that would normally accumulate between your toes is absorbed as well as moisture in the rest of the sock, so you don’t suffer from blisters. These socks were probably my favorite based upon comfort. 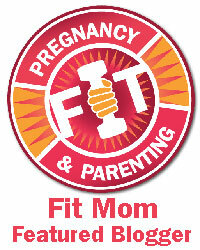 They can be worn for everyday activities as well as running. They get two thumbs up! Since ultimately my goal was to find a sock that was made from a performance stand point that would help me achieve the success of running an ultra race, I felt a review would not be fair unless I put them to the ultimate test. I decided to wear the Midweight version of the Performance series for my upcoming 50k. I knew through all my trial runs in this style that they would be the best option for me over any other versions I tried, as well as ay other style sock. I wore these socks for the entire 6 hours and 23 minutes it took me to complete my race. 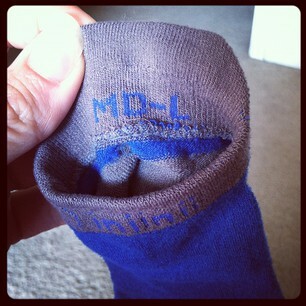 I had packed other socks just incase something went wrong with these, and hoped that I really wouldn’t need them. After the race I was certain that I had torn holes through the toe compartments of the socks but to my surprise they were perfectly intact. Not a single problem went wrong due to wearing these socks, and in fact during my race I did not suffer from one single blister!! This to me is just amazing and makes me a true believer in these socks!! Note the picture below, I never said that the socks will keep your feet clean! All in all the socks I tested were amazing. I recommend them to runners and non runners alike. I will never go back to wearing regular sport socks to run in. 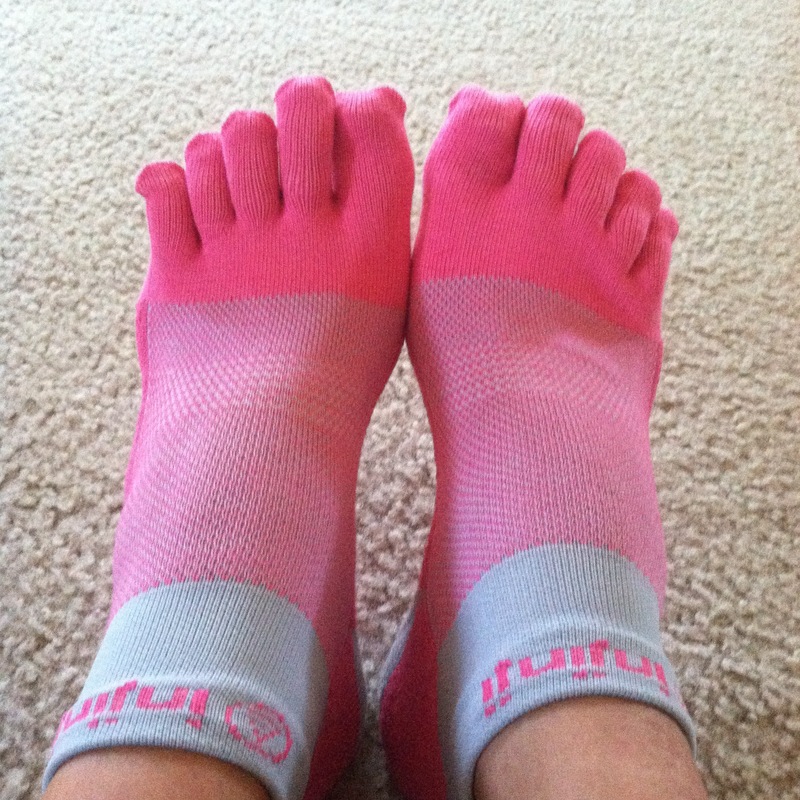 If you want a comfortable option in socks Injinji is the way to go!